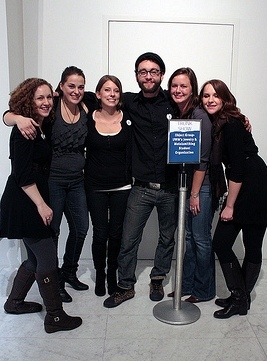 Are you looking forward to the upcoming 2011 Scholastic Art Awards exhibition as much as I am? I enjoy viewing the diversity of amazing work by so many talented young people and I really love meeting the artists and their proud families and teachers when they come to see their work on display at the Milwaukee Art Museum (on view in our Schroeder Galleria Feb 5 – Mar 6, 2011). It is such a thrill for those kids and it’s an exciting time of year for all the Museum staff, too. Over the past year, the Museum Store has had the pleasure of developing our own special relationship with a local group of students–Object Group, UW-Milwaukee’s Jewelry and Metalsmithing Student Organization. Check out their “Bespoke Objekt” blog here. Object Group first visited the Museum Store in spring 2010 for a unique and well-received jewelry trunk show. They then returned to create a tabletop installation for the inaugural Art of the Table event at the Museum in November. In December they hit up MAM After Dark: Euro Bash with another trunk show. You know that I adore jewelry (I certainly work in the right place, don’t I?) and the more off-the-wall, the better. You will never find pieces like these anywhere else. 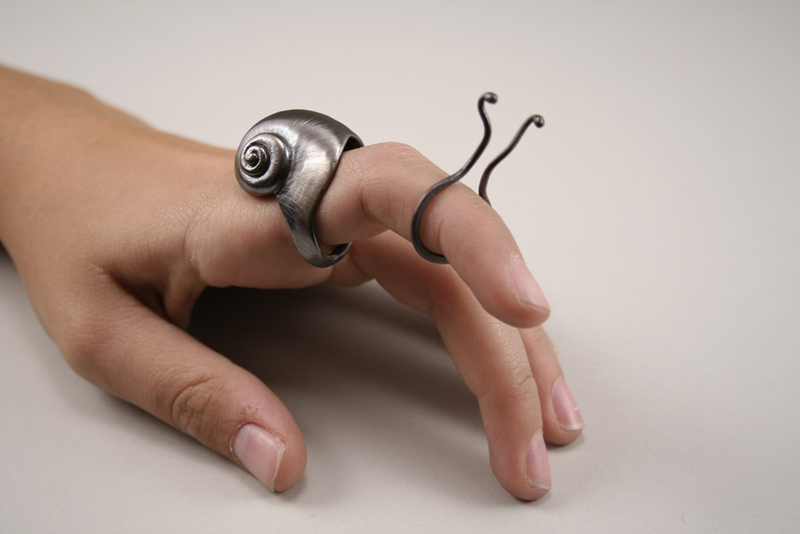 Check out Jesse Graves’ snail ring—how cute and kind of insect-creepy is that? 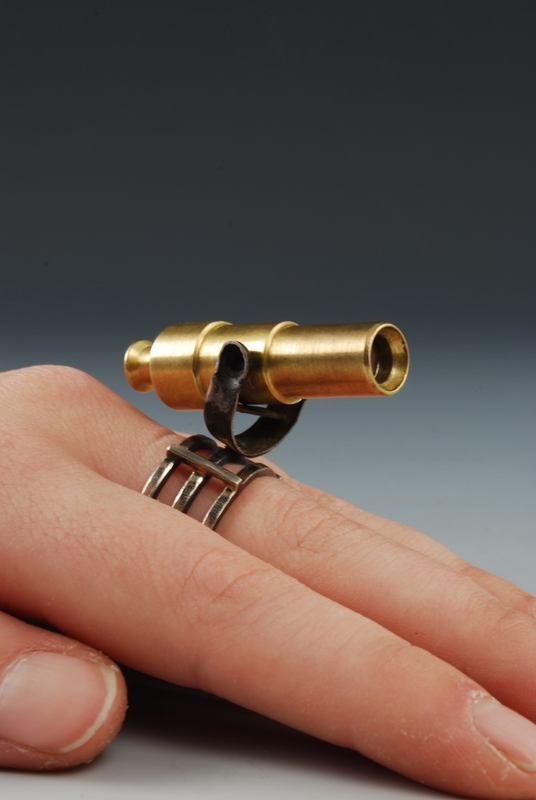 And here is a finger-statement I bet you haven’t made before, crafted by Object Group member Patrick Walter. Several of the artists (Caitlin Driver, Liz Spankowski, Nina Mueller, Lucy Derickson, Rachel Kedinger and Emily Klopstein) are working in a jewelry medium that is new to me—concrete! The material is lighter than I expected it to be, but makes a striking statement. Kendra Zimmerman’s pieces are focus on classic materials like silver and stones, but her originality and spirit really shine through. 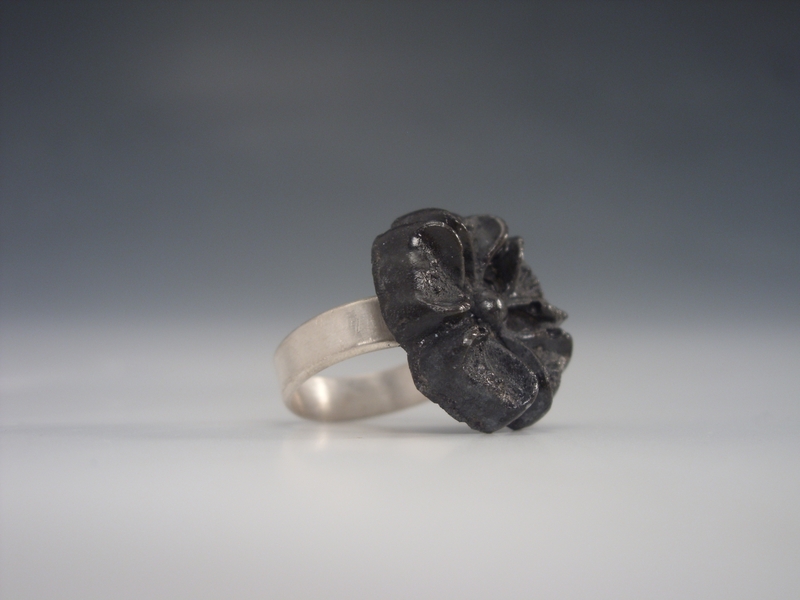 This entry was posted in Events and tagged jewelry, Museum Store, Scholastic Art Award, Store, UW-Milwaukee. Bookmark the permalink.